Becoming the victim of an aggressive driver can result in heavy damage to your vehicle as well as extensive personal injury. The legal definition of reckless driving is driving that involves multiple traffic violations that place other drivers at risk for a car accident. Becoming the victim of an aggressive driver can result in heavy damage to your vehicle as well as extensive personal injury. Hiring a Missouri car accident lawyer in these circumstances gives you the best chance of receiving compensation for your damages. An aggressive driver typically has no regard for the danger his or her actions are putting other drivers in. An aggressive driver will pay no attention to traffic laws and the cars around them. Speeding, tailgating, sudden lane changing, and unexplained braking is all typical of an aggressive driver and can lead to a serious car accident. Speeding does not necessarily mean driving above the posted limit. Traffic laws also require drivers to take into consideration road and weather conditions while driving. For example, if an aggressive driver is trying to pass a line of traffic slowed for road work, he or she could be in violation of local speeding laws. There are standards in place that dictate how far one car should travel behind another. The basic rule of thumb is to give yourself enough time to come to a complete stop without colliding into the car in front of you. An aggressive driver who is tailgating is riding right at your bumper, not giving any room to maneuver if you were to stop suddenly. This could mean crossing over yellow lines to get in front of a line of traffic or rapidly switching lanes on a multi-lane highway. 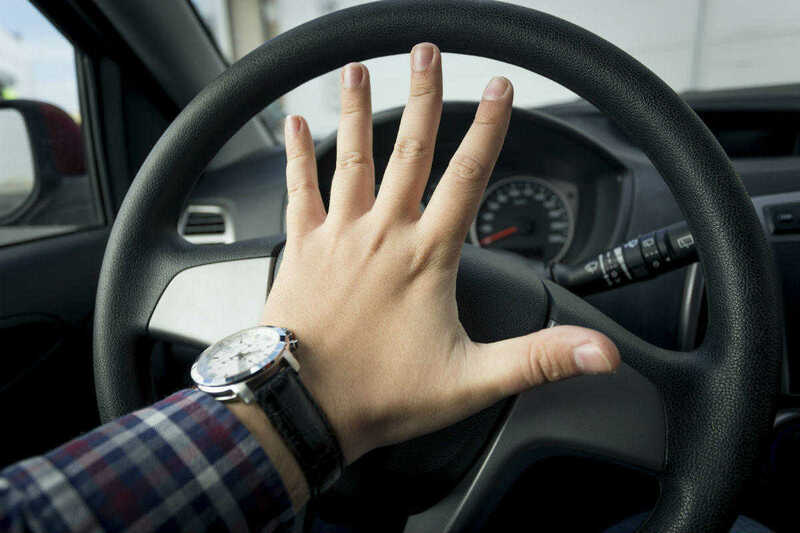 Not being able to anticipate where an aggressive driver will try to squeeze in next puts the cars around him or her at risk for a car accident. This is often a tactic used to intimidate other drivers. Suddenly braking for no reason can lead to a multi-vehicle car accident with many injuries. If you are driving and find yourself in close proximity to an aggressive driver, move as far away from the driver as possible. Their sudden maneuvering will put you at risk of injury if you do not take steps to avoid a collision. If necessary, pull over to the side of the road and call local authorities if you believe that their driving is putting others in harm’s way. In the event that an aggressive driver causes you to collide with them, another car, or even a fixed object on the side of the road, seek the advice of a Missouri car accident attorney. Even if they drove off, your uninsured motorist coverage can be used to pay for your expenses from a car accident. Call The Hoffmann Law Firm, L.L.C. at (314) 361-4242 for a free consultation.